"Old recipe that I have tweaked over the years. Great on all meats! I cut back on the black pepper a bit when making this for my family." Whisk together the ketchup, Worcestershire sauce, and hot pepper sauce in a mixing bowl. Sprinkle in the chili powder, paprika, black pepper, salt, and mustard. Whisk until evenly blended. 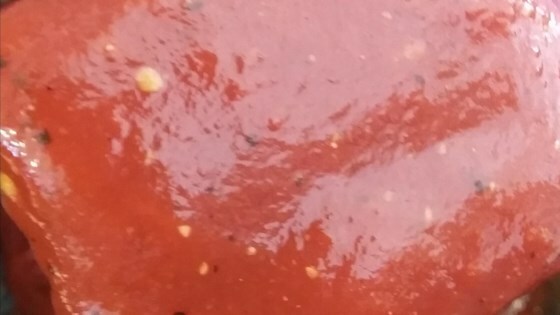 The barbeque sauce is ready to use immediately.